As prices of legal marijuana slump to their lowest amid a surplus in supply, growers in Oregon are anxious about what may come. But planters have shown their resilience by shifting to another variety of cannabis to save their investment — one that does not have any intoxicating substance, and thus, may be better as saves them from the legal hurdles that marijuana planting is fraught with. Since marijuana’s legalization four years ago, state license applications in Oregon have increased by more than twentyfold, making it the second most active state in terms of marijuana cultivation, according to The Denver Post. At present, growers and producers are enjoying a bumper harvest of marijuana crops, as the now legal-friendly environment parallels with a favorable climate to plant the cannabis variety. But existing regulations did not post as friendly as they initially seemed; under the state law, growers are prohibited from selling or shipping products outside Oregon’s borders. As such, the massive volume planted, some of which were meant for sale outside the state, were restricted in Oregon inventories, which now has over 1 million pounds or about 450,000 kilos of marijuana. This excludes the 350,000 pounds of marijuana-based edibles, extracts, and essences in the state. In Portland, The Guardian reported that prices are also slumping in the dispensaries at $4 a gram, which is less than half the cost in other marijuana-legalized states such as Denver and Seattle. To ward off the effects of the glut, others have opted shifting to hemp. This is evident in Oregon’s increased issuance of new licenses to grow and sell hemp, which stood at 353 last week — significantly higher than the 12 granted in 2015. Oregon, which is already familiar with marijuana growing techniques, can easily capitalize on the CBD market, making it a hotbed for CBD use. Many growers and processors are now waiting for the government approval for them to be allowed to sell their CBD products, derived from Oregon-grown hemp, in stores and online. But while the state’s prospective CBD makers have yet to seal the approval, users can explore other states that offer such products. One of the states that have been gaining traction in CBD is Florida where demand for the hemp-derived product is on an upward trend. This is due mostly to PotNetwork Holdings, Inc. (OTCMKTS:POTN). 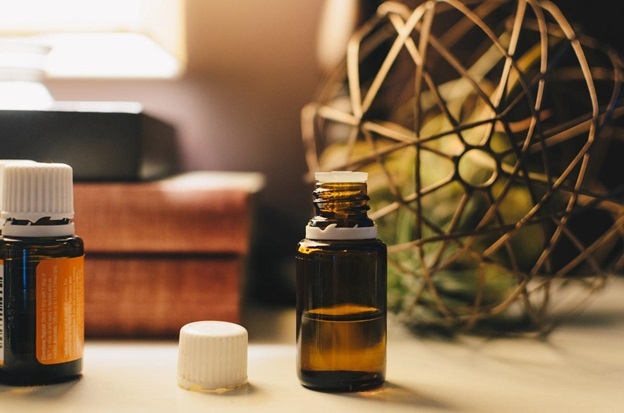 This growing craze for CBD in the state can be tied to the several benefits of the CBD products which the company, through its subsidiary Diamond CBD, Inc., offers to its ever-expanding network of consumers. Although CBD, in itself, inherently has a handful of health benefits, the quality afforded in Diamond CBD’s products ensures effectivity. This is made so through the firm’s supercritical CO2 extraction. In its recently released Investor Relations Frequently Asked Questions for 2018, PotNetwork said it targets to expand its sales force in all other states while also considering opening up in European and Canadian markets. In line with this expansion, the company is currently developing product line extensions such as those for edibles like cookies, chocolates, candies and gummy chewables; new products containing special blends of various terpenes with CBD oil; and a new line of “Daily Boost” easy-to-use, quick, single dose CBD liquid ingestibles. The firm believes diversification is key to the growth of any company. Meanwhile, the cannabis industry is proving that the versatility to shift from marijuana cultivation to hemp is a key strategy for survival in the business.